This detached property in Edgware underwent a ground floor rear extension, in order to accommodate a new kitchen, WC, and utility room. A dining room then replaced where the kitchen previously stood. 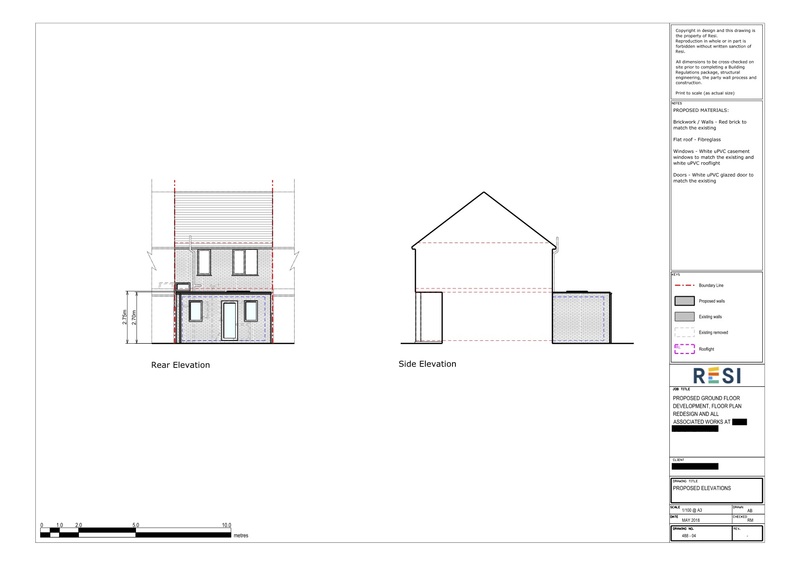 Our client was looking to build a rear extension that extended 3m into the garden, in order to fit in a new kitchen and dining space, and a downstairs WC. They wanted their new build to have a cosy feel to it. 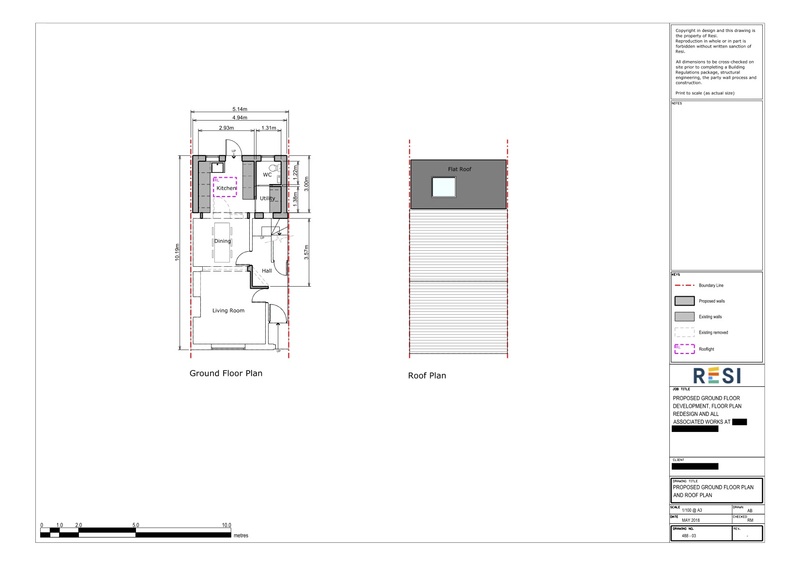 I decided to allocate the new space mostly to a kitchen area, and also a WC and utility room. To the new kitchen I added a central skylight and floor to ceiling glass door, which provided plenty of natural light. The existing kitchen was replaced with a dining room, which was the perfect size to fit a large table and chairs, great for entertaining.